It would take 2 days, 15 hours and 30 minutes to watch every episode so far. If you don't have the time, here are some alternative ways to catch up. Warning: Spoilers for seasons 1-7 of "Game of Thrones" ahead. 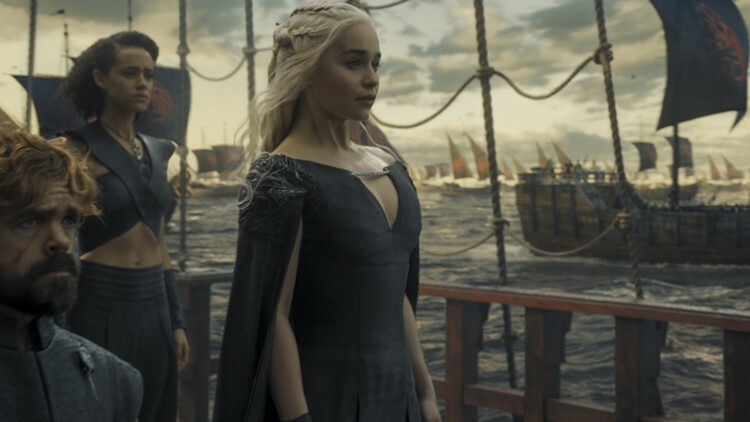 Sunday's premiere of the final season of "Game of Thrones" has been one of the most anticipated television events of the year. The world is eager to see how the epic fantasy show ends, especially because George R. R. Martin hasn't yet finished the books the series is based on. If you haven't watched the first seven seasons of the show, or if you planned on re-watching before the eighth season but never got around to it, it's probably too late for you. The new season airs in less than a week, and according to Binge Clock, it would take two days, 15 hours and 30 minutes to watch every episode of the show so far. While it's not impossible to binge seasons 1-7 before Sunday's premiere, it might be hard to find two days worth of TV time in between other obligations. There are plenty of websites that provide episode by episode recaps. You could start with season one episode one and easily read 67 recaps in a few hours. But reading a recap doesn't provide the same stunning visuals watching the show does. For the visual learners, video recaps are the way to go. Screen Junkies has an hour-long recap of the first seven seasons that will get even the newest viewer caught up and ready for the Sunday night premiere. If you're a seasoned "Game of Thrones" fan and just need a refresher, YouTube channel Winter is Coming claim to have recapped seven seasons in two minutes. It's understandably missing a few details, but it's a great 2-minute refresher. At the end of the day, nothing can beat actually watching the show to catch up. There are a few episodes that are essential viewing to understand the next season. Watch these to get an understanding of the show's characters, mythos and politics and fill in the gaps with online recaps. To understand the end, we have to go to the beginning. The very first episode of "Game of Thrones" introduces all of the key characters and houses that will be critical to the final season. Show creators David Benioff and D.B. Weiss have also said that the first episode of Season 8 will mirror the first of the show, so having a refresher will be helpful to catch all the easter eggs. The season one finale is named after the house words for the Targaryens, and marks the dragons' first appearance in the series. Robb is proclaimed King of the North after Ned's execution and Tyrion is named Hand of the King, bringing new power players into the mix. The second to last episode in each season is usually the climax, and the most action-packed. Blackwater features the epic showdown between Stannis Baratheon and Cersei Lannister. We see just how far Cersei will go to protect her three children. This is significant because going into season eight, Cersei is pregnant with her fourth child. This episode name references the death of the Lord Commander of the Night's Watch at the hand of mutineers, which mirrors Jon Snow's death later in the series. We see Daenerys take control of the 8,000 Unsullied to begin building her army. The Red Wedding is all you need to know about why you need to watch this episode. This episode cemented the fact that no one is safe. While most of the villains in this episode have gotten their comeuppance in the following seasons, it's still essential viewing for any "Game of Thrones" fan. Tyrion murders his father in this episode, bringing the Lannister family tension to a breaking point. He then boards a ship that will eventually unite him with Danaerys, where he is going into the eighth season. Bran Stark also meets the Three-Eyed Raven and the Children of the Forest for the first time. These characters are essential to the understanding of the White Walkers who will be the final season's big bad. The epic battle between the Night King and his White Walkers vs. the Wildlings gives us the first glimpse at just how powerful the White Walkers are. We see for the first time that Valyrian steel can be used to defeat the White Walkers. 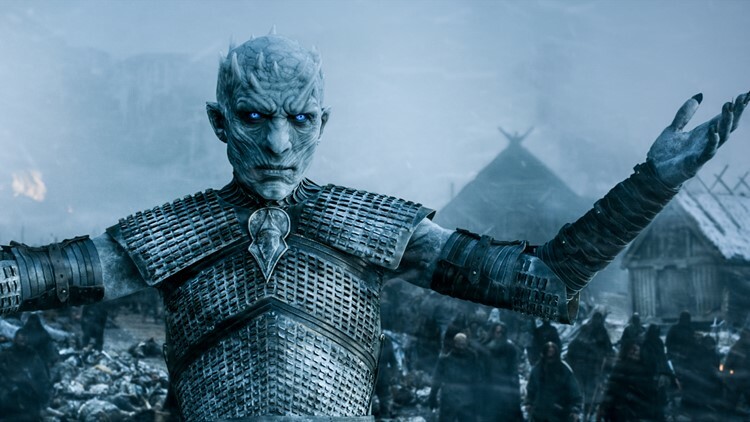 The final moment of the episode, when the Night King raises all of his dead victims to serve him, is a grim reminder of what the characters will have to face in the final season. 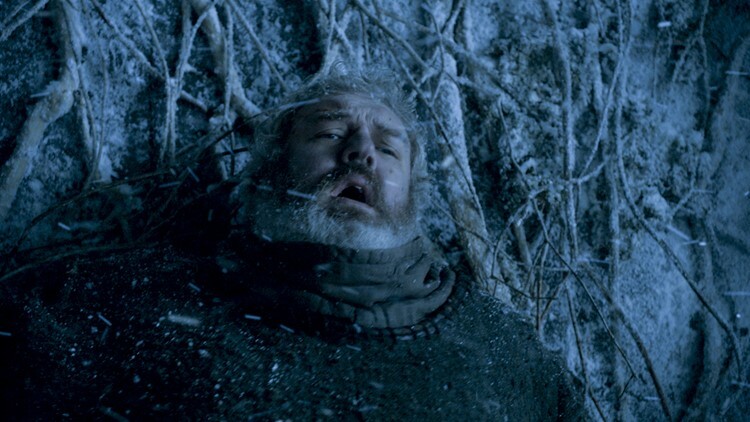 Hodor's final episode will break your heart every time. As tragic as Hodor's origin story and death are, the important piece of info from this episode comes from another part of Bran's vision. It's here that we see the origin of the White Walkers. We find out that the children of the forest create White Walkers to drive out the first men. To say that their plan completely backfired is an understatement. The Winds of Winter is the title of George R.R. Martin's long awaited sixth book. Cersei's last living child kills himself after she blows up a large section of King's Landing with Wildfire, making Cersei Queen. We also finally find out Jon Snow's true parenting, and we see Dany finally begin her journey to Westeros. It's probably a good idea to watch the episode immediately preceding the season eight premiere. 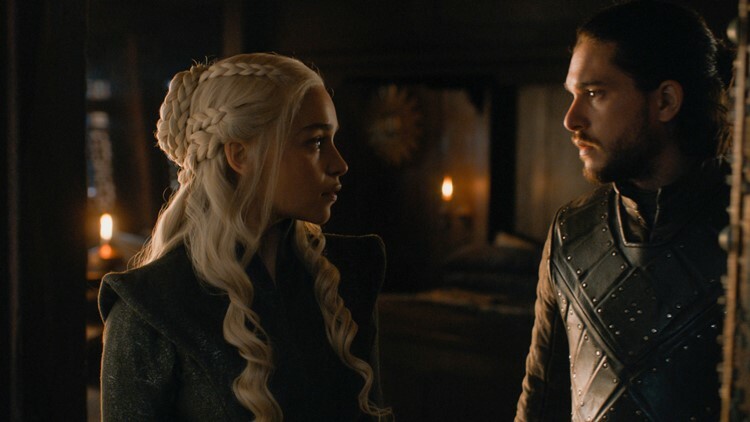 We find out that Lyanna and Rhaegar were married before Jon was born, making him a Targaryn with a stronger claim to the throne than Dany, who we find out is his aunt. The Stark children are reunited and kill Petyr Baelish. The final cliffhanger sees the Night King blow a hole through the Wall with his ice dragon, bringing a whole new meaning to "winter is here." "Game of Thrones" season 8 premieres on April 14.